All oil-fired boilers require annual servicing to minimise the risk of breakdowns and to ensure that they perform as economically and efficiently as possible. Our heating engineers can be called upon to service and maintain your oil heating system. Even if we didn't install the system we will be pleased to help and on our first visit our engineers will check that your oil-fi red boiler complies with the latest OFTEC regulations. 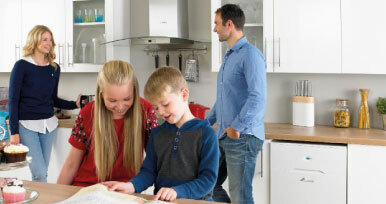 For your peace of mind we can provide you with a Home Cover Heating Plan that will help keep boiler repairs and maintenance costs to an absolute minimum. In the event of a breakdown or emergency our team will make sure you are a priority and give you a fast response.